In 1831 Charles Darwin sailed to South America aboard the H.M.S. Beagle. On the return voyage across the Pacific, the vessel stopped on a small group of islands far off the Ecuadorian coast, changing the course of human scientific endeavour and self-understanding forever. Fascinated by the unique wildlife on the islands, Darwin collected biological specimens and studied them over the next 30 years. His findings led to the formulation of the scientific theory of evolution by natural selection. This small group of islands and their one-of-a-kind wildlife are to thank for one of humanity’s most remarkable discoveries, and today, almost 200 years later, they remain a source of endless fascination, and a favourite travel destination for scientists, nature and wildlife enthusiasts, scuba divers, and anyone interested in the wonders of the natural world. The Galapagos Islands feature some of the world's most interesting volcanic formations, and the landscapes often look like something out of fiction or fantasy. Caves, lava fields, beaches and volcanoes offer visitors exceptional hiking, swimming and scuba diving, and wherever travelers spend their days on the islands, they are always surrounded by the abundant fascinating and unique wildlife. Getting up close and personal with this wildlife is a truly unique experience. 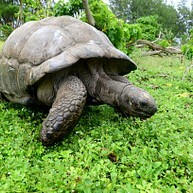 Dozens of giant tortoises roam the premises of Rancho Primicias on the island of Santa Cruz, and visitors are welcome to explore and get up close and personal with them. 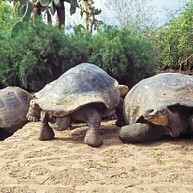 These tame giants can weigh over 400 kg, grow to be 1.8 metres long, and live to be well over 100 years old. The over 100 scientists, educators, researchers and volunteers who work at the Charles Darwin Research Center carry out extensive scientific research and oversee the conservation and safeguarding of the islands' natural resources and wildlife. Visitors are welcome to visit and learn about how they are continuing the scientific inquiries started by Darwin himself, and how their efforts are helping to preserve the wonders of the Galapagos. 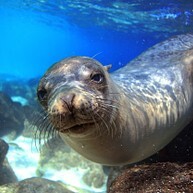 For a closer look at the abundant and fascinating marine life, suit up and peek under the waves. Share the waters with fur seals, tuna, manta rays and the world's only marine iguanas, and marvel at the coral beds that decorate the ocean floor. A network of eerily beautiful underground tunnels extends for several kilometres near the village of Santa Rosa. 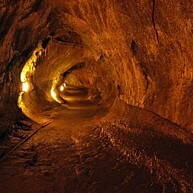 They formed when the outer layer of a lava flow solidified, allowing the interior to continue flowing, leaving the hollow lava tunnels for travelers to explore freely. They are vast and have electric lighting, making them easy to explore independently, or with the help of hired guides. Getting to Tortuga Bay involves a hike of about one hour, but the effort is greatly rewarded by a pristine shoreline and spectacular white sand beach. You can try some surfing in the gentle breaks, snorkel in the lagoons to admire colourful reef fish, white-tip sharks, rays and sea turtles, or simply relax on the sand alongside marine iguanas and sally lightfoot crabs. A favourite place to meet and admire wildlife, this stretch of beach is home to (and named after) the large numbers of seals that can always be found frolicking or relaxing on the sand or among the waves nearby. Seal pups are a common sight here, but be sure to stay clear of the larger male seals, which can be aggressive towards humans if they feel at all threatened. Adventure seekers can get their adrenaline pumping at this crystalline swimming hole by jumping from the newly-built platform on the surrounding cliffs. Las Grietas is a series of crevices that formed during the cooling process of the lava that formed these islands. The hike to get there takes travelers through a forest of huge cacti and over jagged and sometimes tricky lava rock formations, but the azure waters make the trip well worth the effort. Strong hikers can attempt to scale the Sierra Negra volcano, which boasts the world's second largest volcanic caldera. The hike can take visitors to the rim of the imposing 6-mile wide crater and over alien volcanic fields and landscapes, giving them the opportunity to admire strange and interesting geological features and to enjoy the views of volcanoes on other islands from a distance. Visiting the volcano can mean a total of 6 hours hiking, though, so make sure you are prepared for such an adventure. 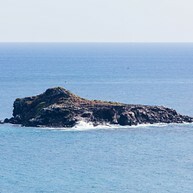 Las Tintoreras is a set of islets named after the reef sharks that frequent them. It has completely calm turquoise waters where wildlife abounds, and it is common to view sea lions, reef sharks, sea turtles, marine iguanas, and more. The clear and beautiful waters make it a favourite place for snorkeling. 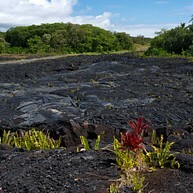 This long, black lava shoreline is home to huge amounts of wildlife which spends its days basking in the sun on the flat expanses of lava fields or among the surrounding caves and formations. 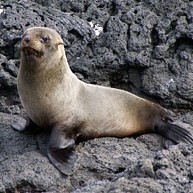 Marine iguanas, Sally Lightfoot crabs, Darwin's finches, sea lions, and lava lizards can be seen against the black backdrop of the shoreline. 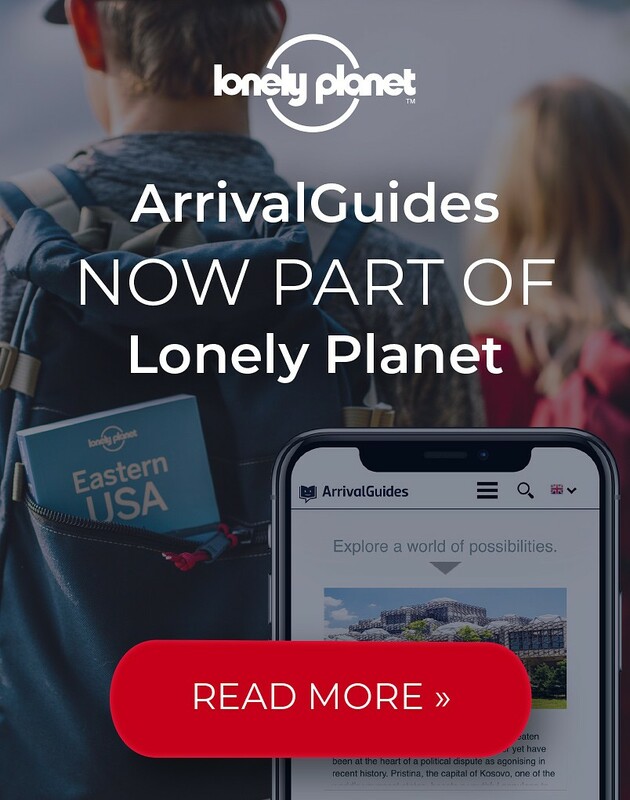 © 2005-2019 ArrivalGuides, A Lonely Planet Company. All rights reserved.